French Doors make an attractive addition to any home and are the practical choice where aperture size is limited. This traditional style door is available in a range of colour choices and built to a high specification. You can also choose whether your doors “open in” or “open out” to suit your living space. You can customise further with a low or ultra-low threshold. 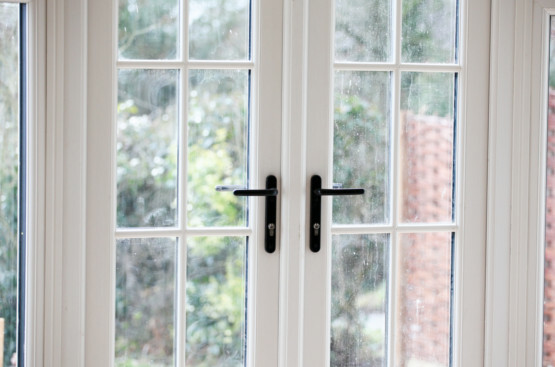 Our uPVC French Doors are 100% lead free and come with an ERA five-star guarantee, as well as meeting all British Standards for safety. An innovative multi-chambered uPVC profile design creates a highly efficient door so you can enjoy a quieter, warmer home with reduced energy bills.